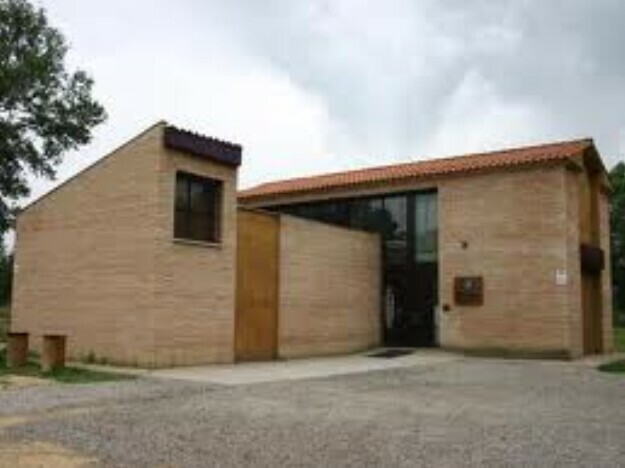 The “Pinzana”, Cinca Interpretation Center is located at the Sotos Park in Monzón. The environmental interpretation center is a cultural space in which the protagonists are the river and its sphere of influence. The exhibition, very visual and modern, informs about all aspects pertaining to the stream of the river and highlights the important role it plays in the environmental processes and the lives of those who inhabit the banks. Likewise, it warns of the need to preserve it as a source of life and biodiversity. It is presented as a reference center to naturists; schoolchildren and anyone who wants to know the river. It also serves as the Environmental Education Center in which classrooms are prepared to impart workshops or training related to the river, the water and its inhabitants. There is a marked trail available to use so one can enjoy a walk at the Sotos Park and the fluvial scenery.